Very friendly staff and doctor! They have always been prompt and quick to attend to my needs! The entire staff here is great and always looking to get better. They are always sure to remind you of your appointments and understanding about making adjustments as needed. Wonderful staff and of course Dr. Wlodek is great! The Optics effects vision center is awesome! The staff is really nice and the optometrist is second to none. I would highly recommend it to anyone looking for an optometrist. We (my daughter and I) have been coming here for 3 years now. Everyone is always so friendly and helpful. I'm so pleased with the service we always receive. Excellent staff, excellent Dr. Everyone was great. Communication was amazing. Felt at home. Wonderful Service,very friendly staff. Clean and convenient location. Why Choose Optical Effects Vision Center? 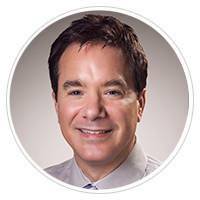 Optical Effects Vision Center based in Silverado Ranch was established by Dr. Robert Wlodek in 2003, serving patients in, South Las Vegas, Enterprise and Henderson including Seven Hills. Our practice is committed to providing the highest quality optometric services for individual vision solutions. This ensures an enhanced quality of life for our patients. We strive to remain on the forefront of eye care through continuing education, the latest state-of-the-art instrumentation, procedures, technology, and contact lens and eyewear products. We will thoroughly explain your eye health status and vision needs with an emphasis on preventative care. We provide professional vision care with courtesy, respect, and fairness. We strive to meet your expectations in service and value to ensure long-term relationships with our patients. We highly recommend daily disposable contact lenses as they are the healthiest option, maintenance free, and convenient. Our Las Vegas practice co-manages Cataract and LASIK surgery with the best surgeons in the area. We also provide advanced Dry Eye treatments in Las Vegas for all symptoms. Discover Luxury with Prada, Jimmy Choo and Versace, get outdoors with Ray-Ban and Oakley and look your best with Nine West, Calvin Klein, and Juicy Couture. Diabetics are prone to developing a eye issues such as cataracts, glaucoma, that damages the optic nerve, macular edema, and macular degeneration. Diabetes can result in diabetic retinopathy, an eye disease that affects the blood vessels in the all-important retina. 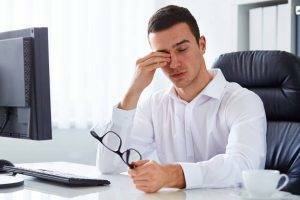 Do you notice a loss of near vision, then you are probably experiencing presbyopia. Multifocal contact lenses may be exactly what you are looking for! You will be able to enjoy the advantages of contacts, and ditch your reading glasses when reading or writing. The OPTOS Optomap OCT allows Dr. Wlodek to see even the smallest changes in the retina and optic nerve with greater accuracy, and much higher definition, making early and accurate detection of common eye conditions such as glaucoma, macular degeneration and diabetic retinopathy, easier than ever before.